I’ve recently developed a fascination with American declinist literature, stories taking place not far in the future which predict the end of America’s run as king of the mountain. In reading Albert Brooks’ excellent account of the wane of one more empire, I drew immediate parallels to Gary Shteyngart’s Super Sad True Love Story, though as soon as I did so the differences also presented themselves. The destination of both books is the same, but the focus of each is the polar opposite of the other. Shteyngart’s story is concerned with the clutching desperation for youth in a hyper-networked world. It describes, almost by necessity, a more absurd, idiotic place (I hesitate to say that it is more self-obsessed). In contrast, the world Brooks describes is being wrecked by the old, who have become an undying, retired ruling caste with no regard for the Social Security slave state it has created. Here, the young are not venerated but marginalized and then feared as hopelessness boils over. The colors Brooks paints with are much more sober and human. Leaving out the flying cars and neo-Facebook crackheads, the only technology that’s really fetishized in his story is medical technology. 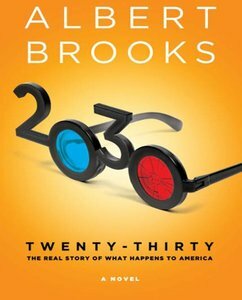 The cancer cure that turned 60 into the new 30 was just the beginning of the immortality industry that both elevates and plagues this world, but Brooks doesn’t have his characters speak in Internetese or act hip and futuristic. Both the old and young are gathered together and presented as terrified, self-interested, conflicted, and most of all familiar characters. This point is precisely what gives 2030 its power. This wide scope also leads to some weird changes in perspective in which the reader gets into the thoughts of multiple people at the same time. This pinball narrative isn’t unreadable, but for those conditioned to read and write a certain way, it is noticeable. Also noticeable is a thin political vagueness that seems to indicate a desire to make the issues of 2030 beyond politics. This is best seen in the American president, a central character who is buried under his nation’s rubble, as well as his own. He isn’t explicitly labeled a Democrat, but his team is pretty obvious. One of his rivals is painted as a corporate opportunist who plays the field, but his business interests in a chain of retirement homes would seem to make him an ardent anti-Kevorkian Republican. As opposed to the contradictions and asymmetry of the characters, I don’t think this lack of definition in the big picture completely works. This is a pretty amazing work of future world building which has easily become my favorite story of the end of the United States as we know it. The characterization amidst the deep examination of an impending and severe social issue makes clear that Albert Brooks wasn’t simply interested in creating an American grave to dance upon. What’s most gripping about 2030 is the possibility that he might be right about everything.